From left: Sea Chips owners Dom Smith, Jonathan Brown and Dan Pawson. 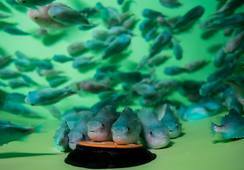 Photo: Sea Chips. Millions of viewers saw Daniel Pawson turn down a £30,000 offer from multi-millionaire fashion retailer and investor Touker Suleyman on Sunday because he thought the Dragon’s demand for 35% of the business was too much. 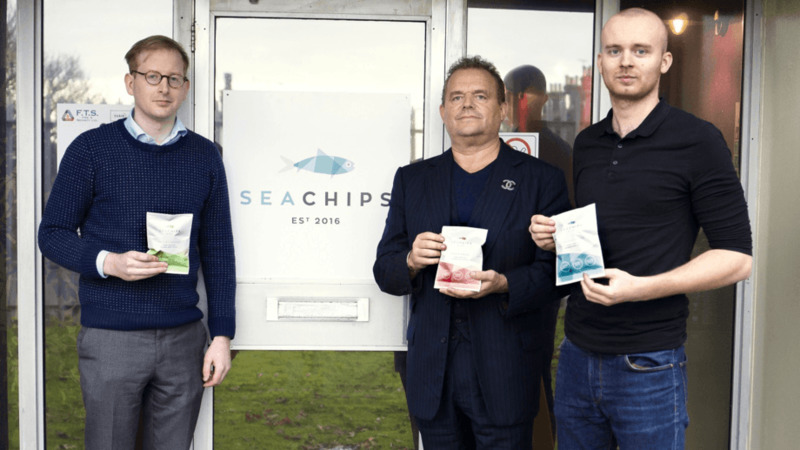 But the publicity generated by the programme has proved priceless for Pawson, a co-founder of Sea Chips, a business which has become more established and increased production since the Dragons’ Den episode was recorded a year ago. Viewers immediately began trying to order the nutrient-packed snacks online, and stocks soon sold out. The crisps come in different flavours. Photo: Weareclay. 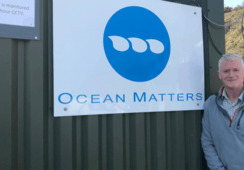 “At that point last year I think we’d sold about 3,000 bags, which was all we could make, but I think we did that in about an hour after Dragons’ Den,” Pawson told Fish Farming Expert. 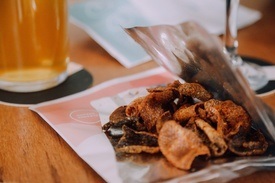 At the time the Dragons’ Den episode was recorded Pawson and Sea Chips co-founder Dominic Smith were still making the crisps by hand, but since then Grants Smokehouse owner Jonathan Brown has taken a one-third stake in the company, supplying not just investment but considerable experience and a ready supply of salmon skins – a resource previously discarded by Grants. 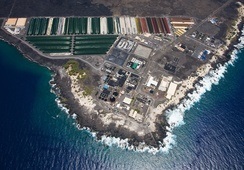 Sea Chips now has a small factory next to the Grants premises in Maryport in west Cumbria. “We can make about 10,000 packets a day at the moment, and we’re pretty much going to be selling them straight away,” said Pawson. Supplies of Sea Chips sold out after Sunday's Dragons' Den episode. Photo: Joe Horner. 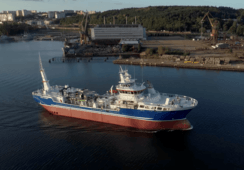 Pawson is confident Sea Chips won’t run out of raw material as demand increases. 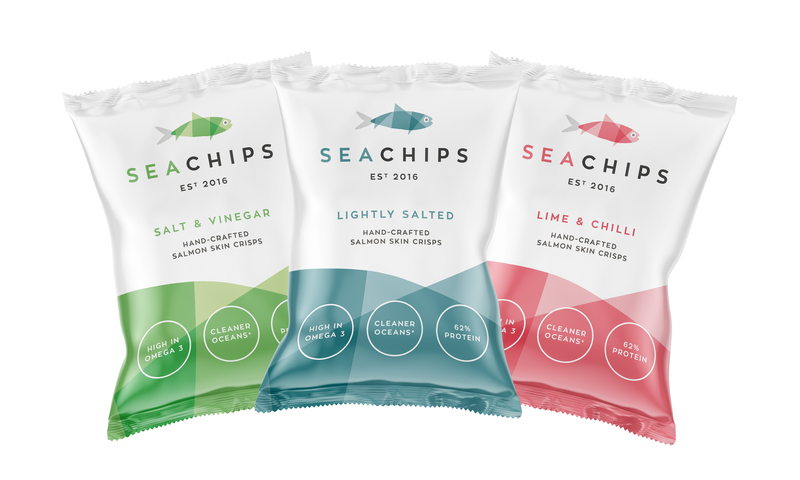 Viewers of Dragons’ Den heard that Sea Chips had a limited number of outlets – Fenwick’s in Newcastle, Harrods and Wholefoods in London and Amazon. But that, too, is changing. 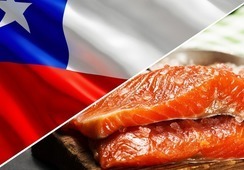 “We’re just updating the website, so there’s probably going to be another 100 retailers up and down the UK, in terms of independents and farm shops,” said Pawson. 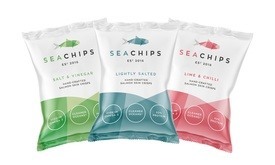 Sea Chips is also looking to begin exporting its product “as soon as possible”. Pawson is expecting the new outlets to lead to a big increase in turnover. “Within the next 18 months, perhaps the next 12, we’re looking at hitting the £1 million mark for turnover. Our target is 18 months but we’re hoping to beat that,” said Pawson.